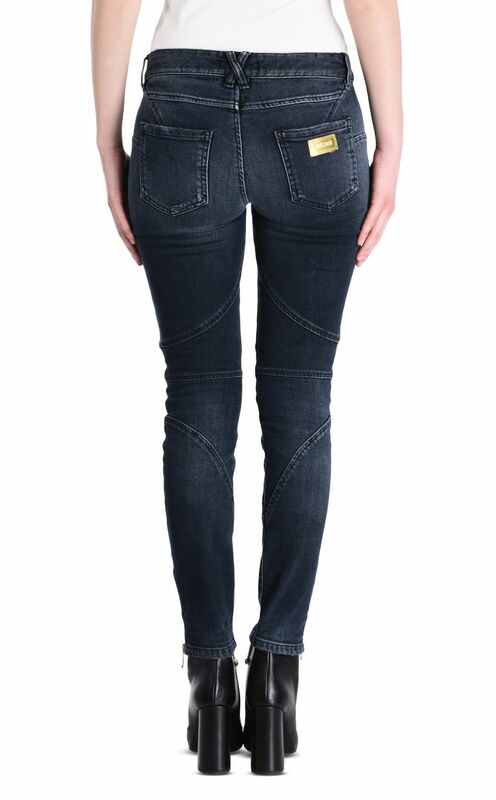 Mid-rise 5-pocket jeans. 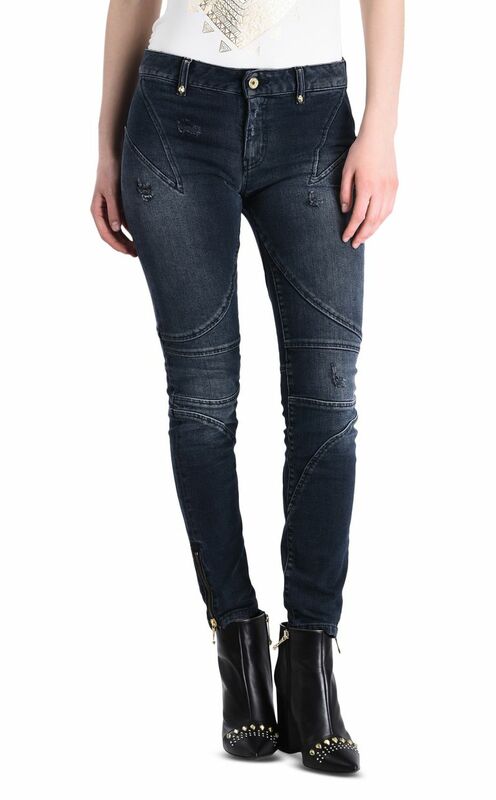 Featuring a clean wash on the front and back with decorative intarsia and seam details. Central button fastening. Regular fit.